After squandering billions of pounds they have seen the light, thank heavens. England’s great landscapes may be spared more futile despoliation at taxpayers’ expense. 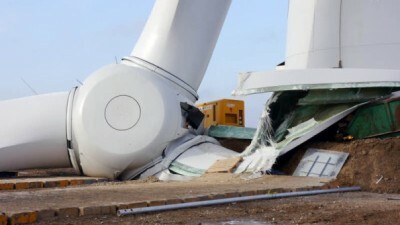 But the turbines that already exist will stand to mock us for years to come, most of them generating scarcely enough electricity to power their manufacturers’ production lines. There are 6,846 across Britain, plus another 15,000 private installations. Each one is a monument to the follies a government can commit when given a green flag to squander our cash. h/t mwhite – Siemens has frozen new British wind power projects, until the post Brexit relationship with the European Union is negotiated. Global surface temperatures should be higher every year as “CO2” massively increases year to year. But the current ~ 20 year ‘global warming’ stasis suggests otherwise. Ergo, trace gas and plant food, CO2, sounds like the perfect patsy to control you, your energy use and every other critical aspect of your life that requires …. energy aka CO2. This post confirms what most of us suspect based on the history of global surface temperature data responses to strong El Niño events. That is, if global surface temperatures respond similarly to past strong El Niños, the 2016 values should be higher than 2015. When Dr. Alan Carlin of premier climate change lobby group, the Sierra Club, makes this inference to wind power, you know Industrial wind is on a road to nowhere…other than its ongoing ability to decimate flora/fauna, create devastating fuel poverty and encourage corporate fraud. Australia is in election mode, with the battle for Federal political supremacy being won and lost on television and on the airwaves. 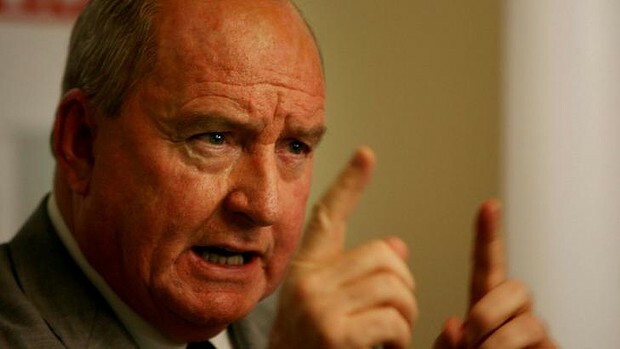 The one broadcaster a political hopeful doesn’t want off-side is 2GB’s Alan Jones. AJ’s followers number in the millions across 77 stations across the Country. Last week, Alan picked up on the cost of the great wind power fraud in Australia, with a little help from STT Champion, Western Australian Liberal Senator, Chris Back. Australia is in debt, requiring 1.2 billion dollars each month to meet the interest repayments alone. We are borrowing money jut to pay interest. Currently each wind turbine, each year earns $600,000 up until 2031 (earning a renewable energy certificate for each MW of renewable power generator. Energy retailers need to buy (and surrender) renewable energy certificates, or be fined. 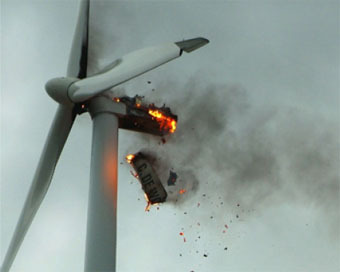 The attached picture is a metaphor of the complete insanity of the climate change, ergo ‘unreliable’ energy, debate. In decades to come this one photo alone with sum up an era of stupidity, when rational thought, logic and commonsense was abandoned and immense wealth and resources needlessly sacrificed.